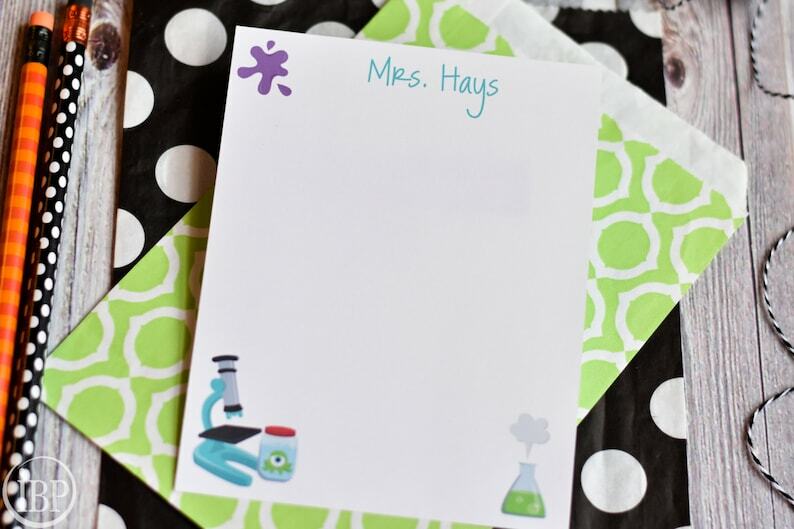 A thoughtful and unique gift for yourself or your favorite teacher. 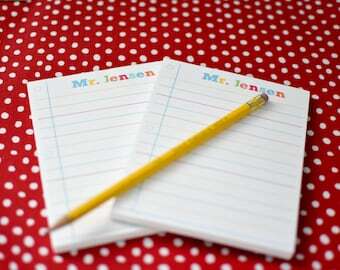 This is a two pack of personalized notepads printed on 70 lb. white paper stock. Each is a 40-page notepad and measures 4.25 x 5.5 inches. The notepads come packaged ready for gift giving in a clear cello bag and pink tulle ribbon. You will receive a digital proof within 24 hours of your purchase. It will be emailed to the email address on file with Etsy. Please be sure that is updated. Please contact me with any questions. Thank you for shopping! This item will be shipped within 2 - 4 days after proof approval or clearance of payment. Super quick shipping...item perfect...Thank you!